Green New Deal - Will a Carbon Tax Work? — Reinventing Green Building - Jerry yudelson, "the godfather of green"
Summary: Raising gasoline prices enough to cut carbon emissions dramatically from transportation would be suicide for politicians, but if we don’t do it, how will we achieve climate goals? Electrifying transportation with a “moon shot” program is probably the only real solution, perhaps using the carbon taxes from gasoline sales to incentivize the transition. Raising gas taxes enough to incentivize massive electric car conversions would be political suicide! If you ask 100 economists, 99 will recommend a “carbon tax” as the best way to reduce emissions of carbon dioxide. Why? Because they are addicted to “marginal analysis,” the behavior of economic actors at the margin. I don’t believe this analysis works for rapidly reducing CO2 emissions. Our economy and society is just too “sticky” or “stuck” in its current way of doing things. Most people think that reducing transportation emissions is the hardest nut to crack (commercial buildings are stationary, and there are less than 6 million of them), because there are about 250 million cars and trucks on the road, in a ceaseless ballet. In all senses, “we are driven” to move using mostly personal and business transportation. A $20 per ton carbon tax (about the lower threshold in most discussions) equates to about 20 cents per gallon of gasoline ($0.18 actually, but I like round numbers). Let’s make the carbon tax really effective and go to $50 per ton, or 50 cents per gallon. If the average price of gasoline is $3.00 per gallon, that equates to a 17% increase in price. What would be the impact on consumption? To understand consumption reduction with price increase, we have to use what’s known as the “price elasticity of demand”. 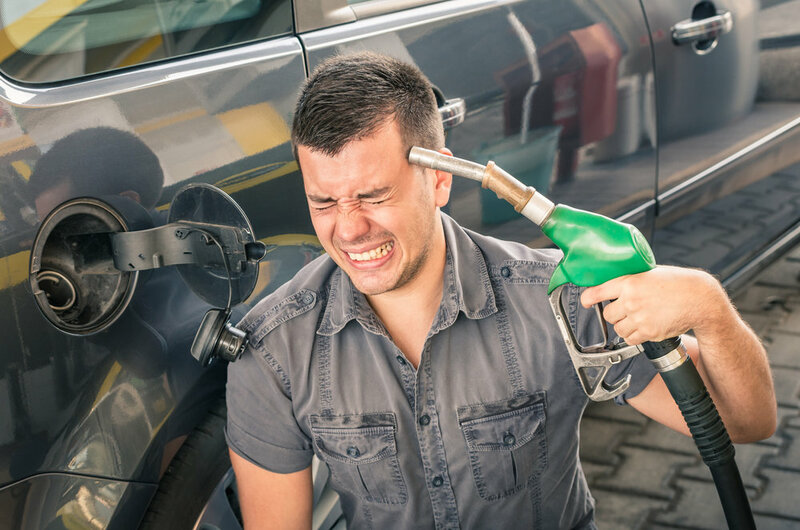 It turns out that gasoline consumption is relatively “inelastic,” which means that a 10% increase in price yields only a 2.6% short-term reduction in demand. So a 17% price increase would reduce demand for gasoline nationwide by only about 4.4%. In the long-run, as you might guess, the price elasticity is is higher, at 5.8%, so a 17% increase in price would yield about a 6.8% reduction in demand. Since it will take the auto fleet about 17 to 25 years to become all electric and since transportation carbon emissions are about 25% of the U.S. total, we’ll have to do better. Even at $100 per ton ($1.00 per gallon tax, or 33% price increase), the reduction would be only about 14%. You can see right away that the increases would have to be draconian, more than $2.00 per gallon, to get any meaningful reduction in greenhouse gas emissions from transportation). 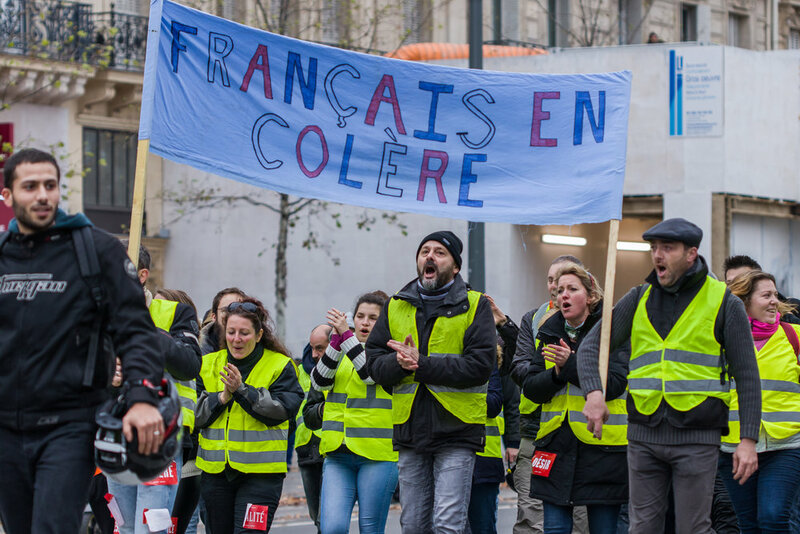 The French “Yellow Vest” movement (the vests are really green, but since the French are notorious contrarians, they’re called “yellow”) provides a preview of U.S. protests against raising gas prices enough to make a difference in carbon emissions. Which brings up the “Yellow Vest” movement. If you think that the French are prone to demonstrate at the drop of a tri-cornered hat, what about Americans? Just like France, revolution is built into our national psyche. What government would long stand that added $2.00 per gallon tax to gasoline? Oh, of course, I forgot, they’re going to refund it all to us via the tax system - but then we’ll just pay the extra cost for gasoline! Carbon taxes might work for industrial CO2 emissions but it’s hard to see them as effective for transportation emissions. Even the Obama-era increase in fuel economy standards wouldn’t have much impact. You can see why electrifying transportation by subsidizing a “moon shot” program is about the only way to deal with CO2 emissions from autos and trucks, as long as the electricity comes from renewable power sources.